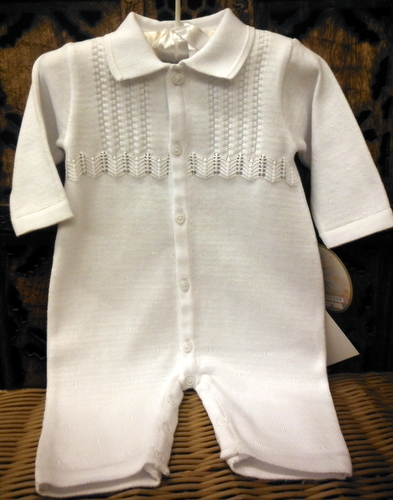 This beautiful little white fine cotton knit romper is made by Will'beth, a leading designer of beautifully detailed children's clothing for more than 30 years. 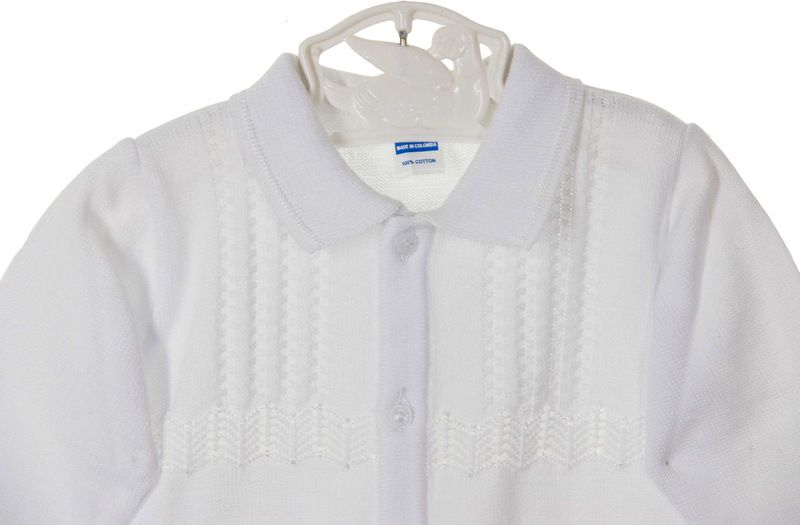 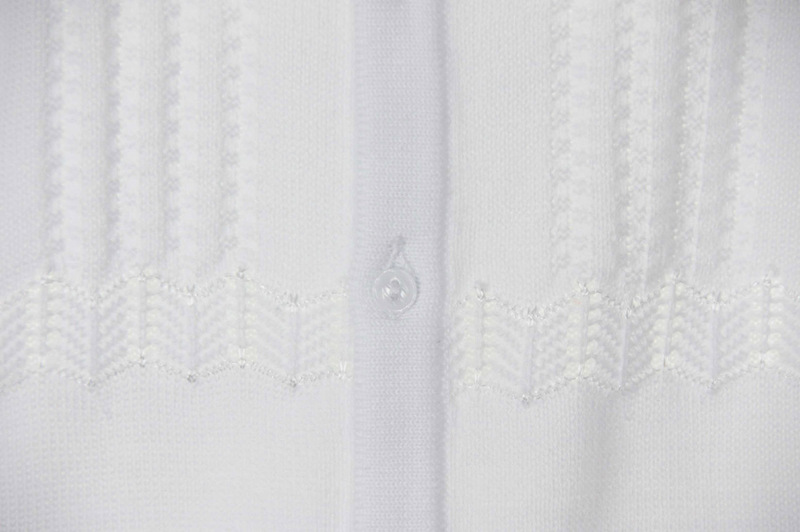 It features a knit collar, long sleeves, and a lovely openweave design on the chest. 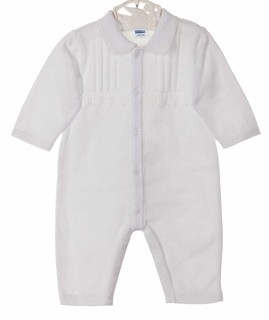 This darling little romper has a front buttoned closure and snaps in the crotch for easy changes. The perfect little romper for your baby boy's christening, first portraits, or take home outfit!